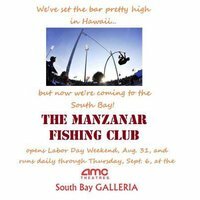 Cory Shiozaki's film The Manzanar Fishing Club is coming back home to the South Bay (in southern California) after its successful run in Hawaii. "The Manzanar Fishing Club began as a lecture, walking tour and artifacts exhibit to raise awareness of the internees who slipped away under the cover of night to find freedom and adventure matching wits with the prized trout of the Sierra Nevada's high-altitude lakes and streams. Writer Richard Imamura pored over hours and hours of interviews and expanded the project from a 22-minute short into a feature length documentary. His script brought together what Shiozaki had intuitively known all along — that all of the fishermen's stories touched, in one way or another, on a yearning to be free." For more information, please visit the film's website at http://www.fearnotrout.com/. llan . Last modified Jun 28 2012 3:04 p.m.